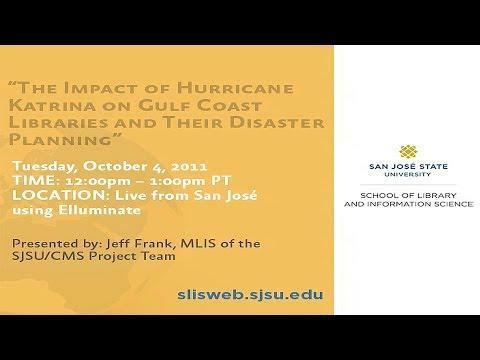 Recent SJSU SLIS grad, Jeff Frank, will discuss his thesis and the research he conducted while working on his thesis. With the tsunami in Japan and Hurricane Irene in the Northeast, this study of the impact of Hurricane Katrina is more relevant than ever. This presentation will especially be of interest to anyone who needs to create or update a library disaster plan.